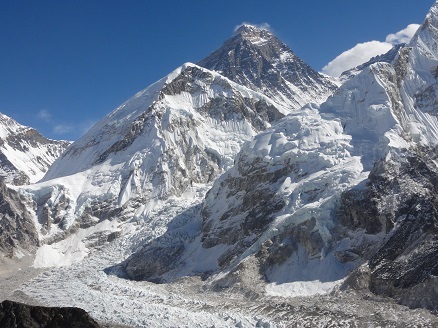 Everest Base Camp trek is a dream to all the adventure seekers in the Himalayas, the homeland of Mt. 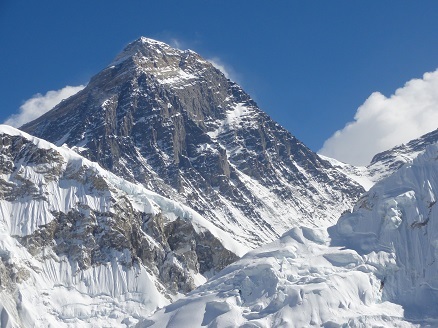 Everest (8848m). 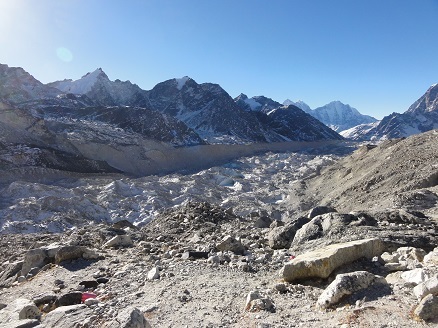 The area is around Solu and Khumbu, which is commonly called the Everest region. It is also known as the home of Sherpa people and the mysterious Yeti. 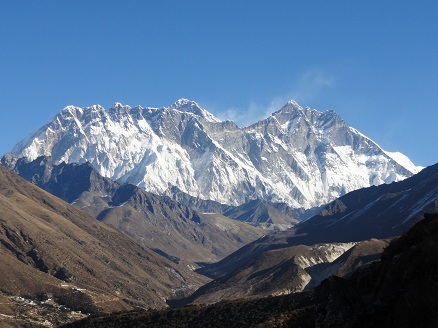 The Everest Base Camp trek is known as the grandest walk in the land of the Himalayas. 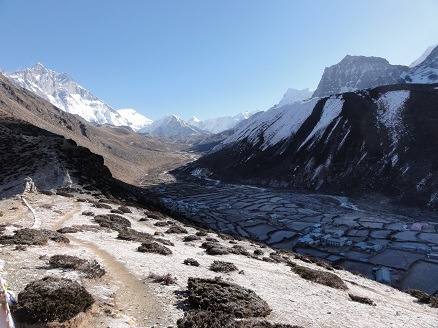 Trekking through the Everest region offers outstanding mountain views and opportunities to get a glimpse into the life of world famous climbers (the Sherpas). The trek further offers the opportunities to go sightseeing around Sagarmatha National Park, a world heritage site that is home to a variety of Himalayan floras and faunas, and to get a closer look at the highest Buddhist monasteries in the world. The Everest Base Camp trek also takes you to the Sherpa "capital" of Namche Bazaar and to Tyangboche monastery, where the Mani Rimdu festival is held every year in October/November. 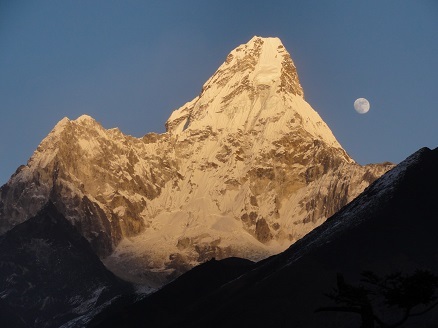 The Everest region has been extensively developed for trekking with well maintained trails and plenty of lodges. 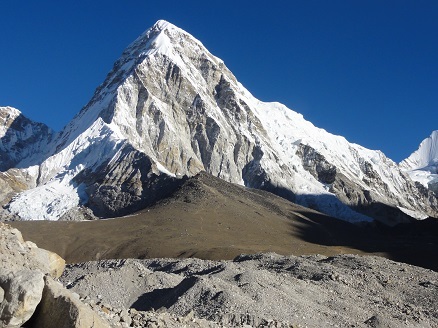 Below is our Everest Base Camp trek itinerary which is flexible and can be customized based on your requirements. Please contact us for the price and quotation. Day 1: Arrival in Kathmandu. Our representative will meet and greet you at Tribhuvan International Airport and transfer you to your hotel in a private car. Overnight in hotel. Day 2: Our guide will pick you up from your hotel and transfer you to the domestic airport in a private car. We will take a 30 minute flight from Kathmandu to Lukla (2860 meters) then walk from Lukla to Phakding (2610 m) for 3-4 hours. Overnight in guest house (B,L,D). Day 3: Phakding to Namche Bazaar (3420 m) walking 4-5 hours. 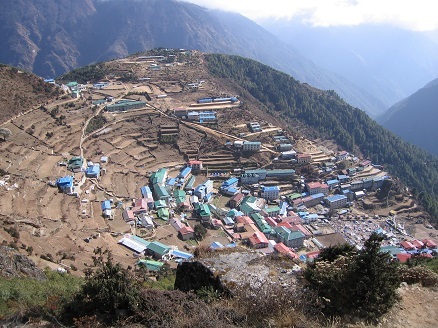 Namche Bazaar is a charming village as well as the trading center and hub of the Khumbu region. We stop here for essential acclimatization. Overnight in guest house (B,L,D). Day 4: Acclimatization day in Namche Bazaar. 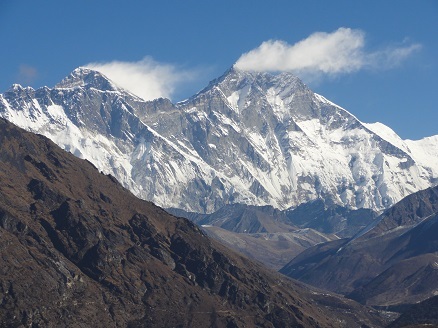 Hike to Everest View Hotel and enjoy the amazing view of Mount Everest. Overnight in guest house (B,L,D). Day 5: Namche Bazaar to Tengboche (3870 m) walking 3-4 hours. 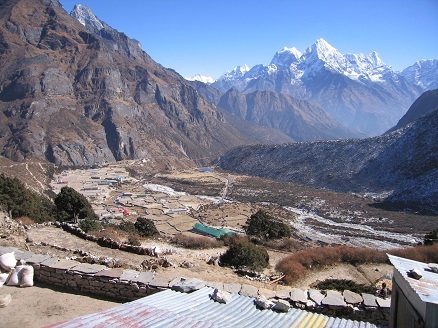 The Tengboche monastery, the largest gompa in the Khumbu region, is located here. We stop here for our second acclimatization.Overnight in guest house (B,L,D). Day 7: Tengboche to Dingboche (4360 m) walking 4-5 hours. Dingboche has a distinctive feature of long stretches of stone walls, built using stones of varying sizes covering the entire Valley of Imja. 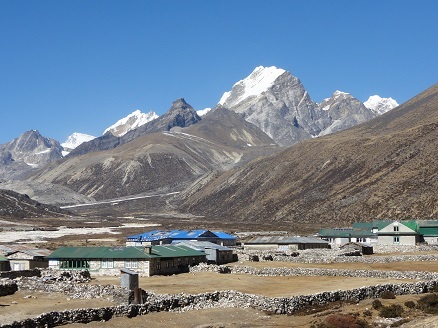 We stop in Dingboche for our second acclimatisation. Overnight in guest house (B,L,D). Day 8: Acclimatization day in Dingboche. 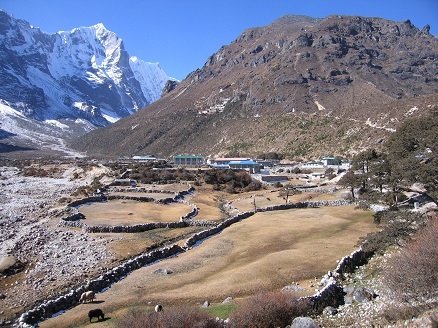 Hike to Dingboche Ri (Nagarjun Hill). Overnight in guest house (B,L,D). Day 9: Dingboche to Lobuche (4930 m) walking 4-5 hours. Overnight in guest house (B,L,D). Day 10: Lobuche to Gorakshep (5160 m) walking 4-5 hours. Enjoy lunch in Gorak Shep, then walk 1-2 hours to Everest Base Camp. Soak in the atmosphere and walk back to Gorak Shep. Overnight in guest house at Gorak Shep (B,L,D). Day 11: Early morning, hike 2-3 hours to Kala Pattar for spectacular sunrise view with Mount Everest as the backdrop, then walk to Pheriche (4240 m) 3-4 hours. Overnight in guest house (B,L,D). Day 12: Pheriche to Namche Bazaar (3420 m) walking 4-5 hours. Overnight in guest house (B,L,D). 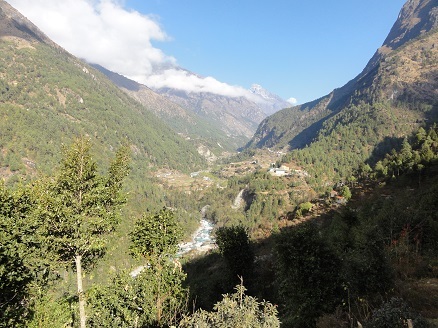 Day 13: Namche Bazaar to Lukla (2860 m) walking 5-6 hours. The trek concludes in Lukla. Overnight in guest house (B,L,D). If required, we can make an overnight stop in Phakding and continue on to Lukla the next day. Day 14: Early morning, we take a 30 minute flight from Lukla back to Kathmandu. You will then be transferred from the airport to your hotel in a private car (B). Day 15: Final day of the trip. We bid you farewell as our representative transfers you from your hotel to Tribhuvan International Airport for your departure from the beautiful Himalayan country. We hope to welcome you back soon for your next adventure in Nepal (B).